“Compassionate people often inspire others to be compassionate. I feel this way whenever I meditate on the life of Jesus. I marvel at how Jesus was so consistently compassionate when he met the ill, the grieving, the hungry, the oppressed. 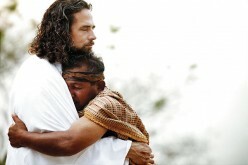 He is often described as being ‘deeply moved in spirit’ or feeling compassion for people. Jesus touched torn and tattered people with an amazing awareness of their woundedness. The vastness of his ability to love and be loved is phenomenal. I’ve also been inspired by compassionate people in history such as Dorothy Day, Mahatma Ghandi, Etty Hillesum, Tom Dooley, Mother Teresa, and Albert Schweitzer. I was in awe as I read about the English spiritual writer, Caryll Houselander. Psychologists would bring their mentally and emotionally ill patients whom they could not sure to live with Caryll because they were astounded at the affect her compassionate presence had on them. Caryll accepted and loved the patients and this made a dramatic healing impact on their health. When I look at the lives of compassionate people I see some common characteristics. They often have significant suffering or painful life events of their own, a generous hear, a non-blaming and non-judging mind, a keen empathy, and a love that embraces the oneness of all creation. Help me today O Lord, to show Your love to those I meet this day. Help me to see people as You see them, beloved and precious. Help me to look past present circumstances to who You know they are. Give me the ability to love with grace and mercy as Jesus did. Amen.